‘StoryStorm’ was a £15K funded network in the Digital Economy ‘Communities and Culture’ Network+ delivered a series of events around the theme of storytelling, creating collaborative stories supported by digital technology, showcased at Future Everything 2014 and Research Through Design 2015. 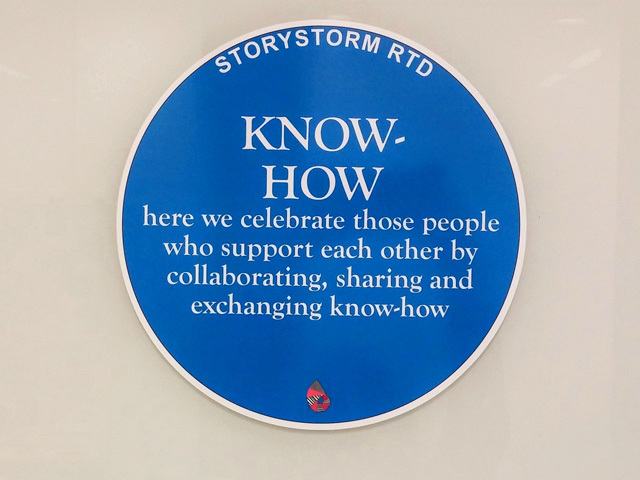 The ‘StoryStorm Network’ was funded by AHRC CCN+ with the aim of developing collaborative, co-creative workshops to explore the ways stories are increasingly supported and shaped by digital technology. The very act of communication is fundamentally an act of storytelling and so the stories we fashion about ourselves to make sense of our life experiences are intrinsically linked to our identity and sense of self (Bruner, 2002), nation and help our understanding of the world. Narrative and storytelling are as critical in today’s digital economy as at any other time, in history, and in order to address the Culture and Communities Network+ aims to understand ‘community and culture in a digital age’, we propose storytelling – and emerging digital means of capturing and sharing stories – as a potential methodological tool for addressing the overarching empirical and collaborative interests. By creating the ‘StoryStorm Network’ we developed collaborative, co-creative workshops where stories were created, crafted, and retold. We did this with a twofold aim: to explore the ways stories are increasingly supported and shaped by digital technology, with the rise of technologies such as hypertext, QR codes or virtual/augmented reality leading to new forms of narrative and to identify how storytelling in its digital and mediated forms might itself support the collaborative investigation within and between the CCN+’s themes and leaders, researchers, practitioners, stakeholders and communities.